They say you dine with your eyes. If that’s true, you must be stuffed. 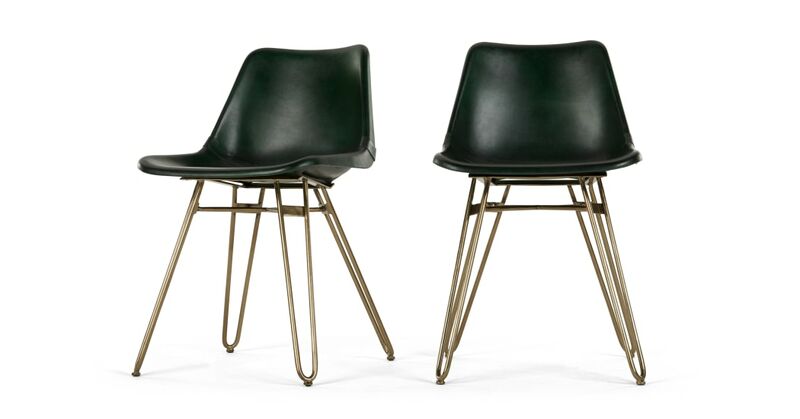 This set of beautiful, design-focused dining chairs will raise your dinner party game. The brass hairpin legs and rivet detail give it a cool urban edge. It’s an easy way to bring an on-trend industrial look to your home. The key element of an industrial look is the use of characterful materials. This combination of metal and leather embodies the trend.